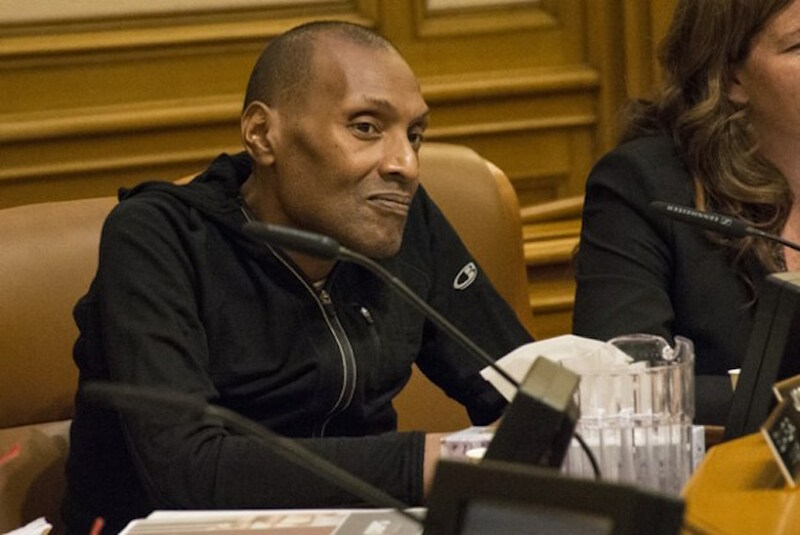 Police Commission President Julius Turman on Wednesday blasted the SFPD’s decision to have the State Attorney General oversee the reform process started by the U.S. Department of Justice. “Despite my objections — and, when I was not present, despite Commissioner (Thomas) Mazzucco’s objections — this was the party selected out of other outside agencies to do this work,” said Turman during a pointed, six-minute statement. On Monday, California Attorney General Xavier Becerra announced that his office would begin overseeing the SFPD’s implementation of the 272 recommendations made by the U.S. Department of Justice. The Department of Justice’s scrutiny and recommendations came after six police shootings in 2015, and the revelation in 2014 that 14 officers participated in sending and receiving racist, sexist and homophobic texts between 2011 and 2012. Until this fall, the DOJ was overseeing the implementation of its 272 recommendations — oversight that U.S. Attorney General Jeff Sessions ended in September. Turman said that the State Attorney General’s office has no background in facilitating police reform and is unfit for the role. “From the beginning, and I say now, the California Department of Justice is not the proper party to have this responsibility, because they don’t have any experience with collaborative reform,” he said. “Their experience is with bringing pattern-and-practice cases against departments and takeovers and oversight, which is not what we require or need (for) the San Francisco Police Department,” he continued. Turman said he continues to be a part of discussions between city and state officials to ensure that the state did not usurp the Commission’s role as the primary oversight body of the department. “My stated goal and purpose then and now was to make sure that … they do not, in written form or in deed, understand their roles to ever be to supplant the duties and responsibilities of this commission when it comes to oversight,” he said. How the commission will work with SFPD and the California Attorney General to pass policies related to the reform effort will be discussed at a future date, he said. “Despite what you might have read, there is no oversight taken up over this police department by the Cal DOJ,” he said. In other business, The San Francisco Police Department’s Tasers will likely cost the city about $3.5 million, SFPD Financial Director Catherine McGuire said Wednesday while outlining the new SFPD budget to the Police Commission. The $3 million is to be spent on the equipment over “a number of years,” and $500,000 will go to “information-technology integration,” McGuire said. A “train the trainer” program with Taser International, the company supplying the stun guns, is included $3.5 million, said David Stevenson, director of communications for the SFPD. Other training costs are included in general training for officers. The amount is well below the $8 million the city’s budget analyst estimated before the Commission voted 4-3 in favor of arming the department with Tasers in November. The Commission voted unanimously to approve a $623.7 million budget that includes the spending on Tasers. It will now be reviewed by the Mayor’s office, and the Board of Supervisors will vote on its adoption in July.